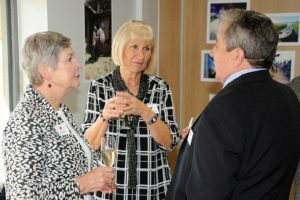 Some of our early Pestalozzi family were delighted to attend the opening of the Pestalozzi International Village Trust’s new Pestalozzi Centre in Sedlescombe in April. The Pestalozzi Centre is a new building that will provide a high-quality meeting, learning and teaching space for the students. When not in use by current Pestalozzi students, it is expected that other charities and local organisations will make use of the space. For those who recall the Village, the new Centre is located on the high ground to the south of Sainsbury House (originally known as International House). 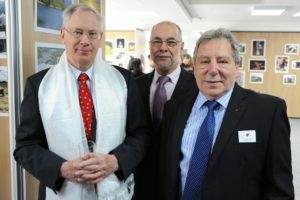 The Centre was formally opened by the long-serving Patron of the Pestalozzi International Village Trust, HRH The Duke of Gloucester KG, GCVO. The ceremony was highlighted by an impressive concluding speech from current Nepalese Pestalozzi student, Bigyan Regmi.